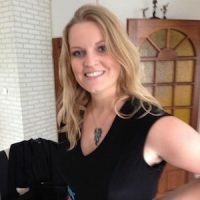 Martine Spaans started her career in online gaming in 2006 and has worked for well-known companies like Spil Games and Ubisoft before setting up her own Mobile Publishing company. She quickly learned the magic formula behind a great casual game and developed a good understanding of gamers needs. She runs Publishing label Tamalaki.com; In cooperation with FGL.com we help indie developers to push their casual games to a diversity of app stores. Tamalaki highly specialises in Hidden Object and Match-3 games.